Picking fourth in the annual Rule 5 draft the Twins selected Double-A right-hander Ryan Pressly from the Red Sox, who originally picked him out of a Texas high school in the 11th round of the 2008 draft. Pressly's numbers as a starter aren't pretty, but he shifted to the bullpen at Double-A in the second half last year and threw 28 innings with a 2.93 ERA and 21-to-10 strikeout-to-walk ratio. And then he thrived in the Arizona Fall League with an 18/1 K/BB ratio in 14 innings. Rule 5 picks must stick in the majors all season or be offered back to their original team for half of the $50,000 selection fee, although teams can work out a side deal to get around that like the Twins and Braves did with Scott Diamond in 2011. Last winter the Twins touted Terry Doyle's performance in the Arizona Fall League after taking him from the White Sox with the second pick in the Rule 5 draft, only to let him go midway through spring training. Doyle was a 26-year-old, low-velocity control pitcher, whereas Pressly is a 24-year-old with what Jonathan Mayo of MLB.com described in his Rule 5 preview as "a big arm that can fire fastballs in the mid-90s and ... an outstanding power curve." Of course, he's still a long shot to crack the Opening Day roster and at this point Pressly's resume includes 400 innings of mediocre pitching as a starter and 40 innings of good pitching as a reliever. Eduardo Escobar won the White Sox's utility infielder job out of spring training and collected dust on the bench until being traded to the Twins along with Pedro Hernandez for Francisco Liriano in August. Sent to Triple-A after the trade, he hit just .217/.259/.304 in 35 games for Rochester and then received a September call-up to Minnesota, where he hit just .227/.271/.227 in 14 games for the Twins. In seven seasons as a minor leaguer Escobar has hit .267/.312/.348, including .255/.293/.343 in 167 games at Triple-A, so while he's still just 24 years old it's pretty safe to conclude that his defense will have to carry him. And it might, because Baseball America named Escobar the best defensive infielder in the White Sox's farm system for 2008, 2009, 2010, and 2011. Of course, even the slickest of fielders are destined for bench roles unless they can hit at least a little bit. And so far at least it looks like Escobar can't hit, even a little bit. His power is non-existent, with a grand total of 15 homers in 2,700 plate appearances between the minors and majors, and both his plate discipline and strike zone control are severely lacking. Good-fielding middle infielders are hard enough to find that Escobar cracks this list despite those considerable flaws, with the hope that he's perhaps still capable of improving into "decent role player" territory. Guerra pitched very well as a reliever at Double-A down the stretch in 2011 and continued to thrive back in New Britain last year, earning a promotion to Triple-A in late April. His secondary numbers were solid in Rochester with a 56-to-21 strikeout-to-walk ratio in 57 innings, but Guerra served up seven homers on the way to posting a 4.87 ERA. He also missed some time with injuries and was bypassed for a September call-up despite then being on the 40-man roster. Guerra no longer has much upside and has lost velocity since his teenage peak, but since moving to the bullpen his performance has been promising enough to suggest he can be a useful reliever. During the past one-and-a-half seasons he's thrown 124 innings out of the bullpen with a 3.56 ERA and 136-to-35 strikeout-to-walk ratio between Double-A and Triple-A, but he'll face an uphill climb to crack a Twins bullpen that appears pretty well set for 2013. Josmil Pinto appeared on this list in 2010, ranking 36th after impressive rookie-ball production, but back-to-back seasons with a sub-.700 OPS at Single-A followed. He repeated high Single-A last year and bounced back in a big way, hitting .295/.361/.473 in 93 games while controlling the strike zone well, and then hit .298/.365/.553 in 12 games at Double-A to finish the season. That convinced the Twins to add Pinto to the 40-man roster in November. His lack of high-minors experience, inconsistent track record, and uncertain future defensively made Pinto's addition somewhat surprising, but clearly the Twins think the 23-year-old from Venezuela has a chance to be an impact bat. And he'll probably need to be to have significant value, because despite good caught stealing numbers Pinto draws mixed reviews as a catcher and saw about half of his action last season at designated hitter. Generally speaking a 23-year-old part-time catcher, part-time designated hitter with barely any time above Single-A and a career .266/.337/.427 line is a long shot to develop into a quality big leaguer, but Pinto has shown flashes of noteworthy potential. This season should provide a big test both offensively and defensively, and by this time next year odds are Pinto will either be at least a dozen spots higher on this list or no longer on the 40-man roster. What a shame. Alex Wimmers' fast track to the majors was derailed in early 2011 by extreme control problems, which he conquered enough to throw a seven-inning no-hitter in his final start of the season only to blow out his elbow one start into last year. On the Twins' advice Wimmers initially tried to avoid going under the knife, but that simply delayed Tommy John surgery until August and could mean he won't pitch at all in 2013. Once upon a time Wimmers was a polished, strike-throwing right-hander who won back-to-back Big Ten conference pitcher of the year awards at Ohio State on the way to being the Twins' first-round pick in 2010, but between the Steve Blass/Rick Ankiel-like control problems and elbow injury he's now 24 years old and has appeared in one game above Single-A. His career totals consist of 63 innings in three pro seasons. Even if Wimmers successfully returns from elbow surgery it's impossible to guess what type of pitcher he's capable of being at this point and he was never considered a high-upside arm to begin with. For both Wimmers and the Twins it would be nice if he could get back on track enough to re-emerge as a potential back-of-the-rotation starter, but we may have to wait until 2014 to find out if that's at all possible. • No. 1 prospect Miguel Sano got off to a huge start at low Single-A, hitting .276/.422/.586 in April, but then showed that for all the incredible long-term upside he's still a teenager with shaky strike-zone control facing full-season competition for the first time. Sano went into a prolonged slump right around his 19th birthday and has hit just .220 with 58 strikeouts in 48 games since May 1, putting on hold any talk of a first-half promotion to high Single-A. Sano also struck out 137 times in 127 games of rookie-ball, so the lack of consistent contact is nothing new and remains a potential red flag. On the other hand 19-year-olds with massive raw power are supposed to be strikeout prone and Sano has made major strides in plate discipline by drawing 42 walks in 73 games for Beloit after totaling 47 walks in 127 games at rookie-ball. And even while struggling overall recently he's continued to hit for huge power. Sano leads the Midwest League with 15 homers and ranks fourth slugging percentage, fifth in walks, and seventh in OPS despite being the sixth-youngest player in the league. His low batting average and high strikeout total are certainly worrisome and make it impossible to project him as a future .300 hitter, but in terms of being a middle-of-the-order monster Sano remains right on track with a .240/.355/.483 line at the same age as a college sophomore. • No. 2 prospect Joe Benson has had a miserable season that started bad and got much worse. Finally promoted to Triple-A for the first time at age 24 he hit .179 in 28 games for Rochester, at which point the Twins decided to send him back down to Double-A for a third straight year. He got off to a slow start there before breaking his wrist on a swing in his eighth game, requiring surgery and a two-month recovery timetable. Wrist injuries often prove tricky for hitters to bounce back from and when combined with hitting .173 in 36 games between Double-A and Triple-A his stock has clearly plummeted this season. Reacting to 28 bad games at Triple-A by demoting Benson back to a level he'd already mastered for two seasons was an odd, seemingly panicky move by the Twins, but that's mostly a moot point now as he simply needs to get healthy and start hitting again somewhere. • No. 3 prospect Aaron Hicks made the jump to Double-A and hit well enough early on to create some optimism that he was finally ready to tap into his offensive potential after underwhelming power and batting averages in the low minors. Instead he's basically back to where he's always been, showing excellent plate discipline and good speed while hitting just .248 with seven homers in 63 games for New Britain. He's still 22 years old and it would be silly to brush aside 33 walks and 16 steals in 63 games from a strong-armed center fielder, but at this point his long-term upside needs recalibrating. His defense, speed, and on-base skills are still more than enough to make Hicks a potential quality regular in the majors, but any thoughts of stardom can wait until his average or power rise and his switch-hitting actually leads to good production from both sides of the plate. • No. 4 prospect Eddie Rosario was one of the few Twins minor leaguers having a standout year, hitting .293/.362/.473 with seven homers, 20 doubles, and 27 walks in 62 games at low Single-A as a 20-year-old. Then a batting practice line drive off the bat of a Beloit teammate struck him in the face on June 12 and surgery to insert a metal plate above his lip followed, putting his season on hold for at least six weeks. Halting his strong hitting isn't ideal, but the bigger issue is that Rosario had been transitioning from center fielder to second baseman and all the missed repetitions will further complicate an already difficult proposition. Also worth noting is that while hitting well overall before the facial injury his power was down substantially from last year, which is what many people expected to happen considering Rosario is more of a line-drive hitter than a slugger. • No. 5 prospect Liam Hendriks was the Twins' choice to replace the injured Scott Baker in the Opening Day rotation despite being 23 years old with just nine starts at Triple-A. He predictably struggled and was sent back to Rochester three weeks later, but then put together an impressive seven-start stretch there in which he threw 46 innings with a 1.94 ERA, .180 opponents' batting average, and 42-to-13 strikeout-to-walk ratio. That and more injuries to the rotation earned Hendriks a return to the majors two weeks ago and he promptly served up three homers in his first start back after allowing a total of three homers in 16 starts at Triple-A. Learning to keep the ball in the ballpark will be crucial, because Hendriks' raw stuff is mediocre and his bat-missing ability is in question. Hendriks was the top pitching prospect by default and his upside as a mid-rotation starter hasn't changed. • No. 6 prospect Oswaldo Arcia has moved past the slumping Sano to own the highest OPS by any Twins minor leaguer and while his long-term upside can't compete with Sano he's in the mix as one of MLB's best young outfield prospects. Arcia began the year at high Single-A and hit .309/.376/.517 with seven homers, 16 doubles, and an improved strikeout-to-walk ratio in 55 games to earn a promotion to Double-A and a spot in the Futures Game next month. At just 21 years old Arcia is one of the half-dozen youngest hitters in the Eastern League and it's noteworthy that the Twins have gone away from their usual deliberate development by aggressively promoting him for a second straight season. In general testing good prospects is smart, although in Arcia's case his plate discipline and strike-zone control are shaky enough that constantly facing new, tougher competition makes improving those skills on the fly tough. • No. 7 prospect Kyle Gibson has been sidelined since undergoing Tommy John elbow surgery last September, but the 2009 first-round pick recently started a throwing program and is ahead of schedule in his recovery. He won't be an option for the Twins this season, whereas before the surgery he was on track to be in the majors by now, but getting back on the mound for some minor-league game action at some point in July would be great news. • No. 8 prospect Levi Michael was supposed to advance through the farm system quickly after starring in college at North Carolina, giving the Twins some much-needed middle infield depth. Jumping directly to high Single-A was part of that plan, but the switch-hitting first-round pick has struggled there by hitting .219 with two homers and 49 strikeouts in 61 games while splitting time between shortstop and second base. Michael had excellent strike-zone control in college, totaling more walks (93) than strikeouts (73) in 2010-2011. So far the plate discipline side of that equation has remained with 31 walks despite a .295 slugging percentage not scaring pitchers, but the 49 strikeouts are a concern attached to such little power. Hopefully he simply wasn't as advanced as believed, since it'd be a shame if the Twins finally addressed their infield issues with a college pick who went bust. • No. 9 prospect Alex Wimmers recovered from extreme control problems to get back on track by the end of last season and the Twins were confident enough to assign the 2010 first-round pick to Double-A this year. Unfortunately he went down with an elbow injury after just one start there and was diagnosed with a partially torn ulnar collateral ligament, which typically leads to Tommy John surgery. For now he's attempting rest and rehab instead of surgery. • No. 10 prospect Brian Dozier began the year at Triple-A for the first time at age 25 and didn't play particularly well, but the Twins called him up in mid-May anyway and he arrived with some misguidedly inflated expectations among many fans and media members. Talk of him being "the next big thing" seems even sillier now, as Dozier has struggled both offensively and defensively while playing shortstop every day for the past six weeks. He's hit .225/.249/.306 in 44 games with predictably little pop and a surprisingly ugly 33-to-6 strikeout-to-walk ratio after walking nearly as often as he struck out in the minors. Defensively he's shown iffy range and arm strength while also being less sure-handed than expected. He realistically never projected as anything close to a star, but struggling so much to control the strike zone and consistently make plays at shortstop is worrisome for 25-year-old. • Reminder: Gleeman and The Geek airs live on KFAN at 4:00 on Sunday. I can neither confirm nor deny that this week's show will just be me sighing into the microphone for an hour. Sano stood in the batter's box awhile to watch his homer against relief pitcher Carmine Giardiana. He trotted the bases, but virtually stopped a few feet before touching the plate, taking off his batting helmet as Kernels catcher Abel Baker barked at him. Sano glared at the Kernels dugout after finally touching the plate, with Kernels players continuing to give him significant grief. He took a step toward Baker, and the dugouts began to empty, with umpires Fernando Rodriguez and Paul Clemons, as well as both teams' coaching staffs, doing a good job of squelching what could have been an ugly scene. He's young, but he's one heck of a player, man. He's unbelievable. That's the best player I've seen here, by far. Twins fans may remember Burke as the White Sox catcher who got destroyed by Torii Hunter in a home plate collision back in 2004. • Anthony Slama has never gotten an extended shot with the Twins despite dominating every level of the minors and was dropped from the 40-man roster after injuring his elbow late last season. He's healthy again, posting a 0.57 ERA with 27 strikeouts in 16 innings as Rochester's closer, which gives him a 2.35 ERA and 162 strikeouts in 133 career innings at Triple-A. Slama is 28 years old and has shaky control, but there's no excuse for ignoring him at this point. • Remember when the Twins signed Jason Marquis and Terry Ryan said "he throws the ball over the plate" despite the fact that his career walk rate of 3.5 per nine innings was the exact same as Francisco Liriano's? Through five starts Marquis has more walks (11) than strikeouts (10) in 27 innings and has thrown the same percentage of his pitches for strikes as Liriano, who's been banished to the bullpen. • Sean Burroughs and Clete Thomas cleared waivers after being designated for assignment by the Twins, meaning they'll both remain in the organization at Triple-A but no longer reside on the 40-man roster. Stockpiling that type of depth is a good thing, but in making room for Thomas in Rochester's outfield the Twins demoted No. 2 prospect Joe Benson from Triple-A to Double-A despite the fact that he'd already spent two seasons there. Benson was off to a rough start, hitting .179 with 27 strikeouts in 28 games, but was hitting for power and drawing walks. At the time of the demotion Benson had a .584 OPS and Ben Revere had a .592 OPS. Demoting a 24-year-old back to Double-A for a third straight season because he struggled in 28 games seems odd, particularly when Chris Parmelee is struggling in the majors after skipping Triple-A following far worse Double-A production than Benson. • Parmelee sticking in the majors because the Twins trusted September and March instead of a mediocre track record was misguided enough, but now he's not even playing consistently. Parmelee is a left-handed hitter, yet he's been on the bench for three straight games against right-handed pitchers. It'll be buried beneath the mountain of problems, but the handling of prospects Parmelee, Benson, Revere, and Liam Hendriks leaves a lot to be desired. Wait, the Twins allowed an injury to linger longer than a year without taking care of it?! Shocker. Twins released me. My shoulder was hurting so instead of helping me out, they got rid of me. I really enjoyed my time with the Twins, but I'm none too pleased with the way it ended and how it was handled. Shoulder surgery Round 2 tomorrow morning. Looking forward to finally getting this fixed properly. Surgery went well. Should be throwing soon. Special thanks to the Twins for completely neglecting the obvious injury I had. Osterbrock also said in an interview with the University of Cincinnati's website that "they kept telling me that I was going to be all right and that I should try to play through it and I did for as long as I could." Because of the increasing number of questions about the competency of the team's medical staff Osterbrock's comments got some attention and the Twins were forced to respond. Not surprisingly they denied any wrongdoing. • Tommy John surgery has already derailed the career of 2009 first-round pick Kyle Gibson and now 2010 first-round pick Alex Wimmers may be facing the same fate. Wimmers came back from extreme control problems last season to re-establish himself as one of the Twins' better prospects, but he's been shut down with a partially torn ulnar collateral ligament. Predictably the Twins are saying he can avoid surgery and will try rest and rehab. Good luck. 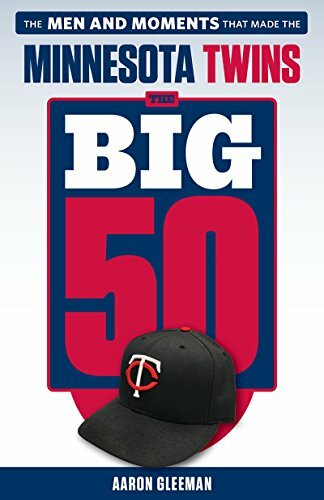 • Twins owner Jim Pohlad gave votes of confidence to Ryan and Ron Gardenhire, dismissing the notion that either man's job could be in jeopardy. That's certainly not surprising, but it's also worth noting that Pohlad gave Bill Smith a public vote of confidence in October ... and then fired him five weeks later. • Jared Burton served up two homers in his Twins debut and gave up a run two appearances later, but he's been unhittable since then. Literally. Burton has thrown 10.2 consecutive no-hit innings dating back to April 13. During that time batters are 0-for-32 with 11 strikeouts off him, getting on base only via two walks and two plunkings. • Minnesota native Michael Wuertz held an open tryout for teams in mid-March and the Twins were in attendance, but six weeks later the once-dominant and oft-injured reliever signed a minor-league deal with the Reds. • Since the Twins traded him to the Orioles last offseason J.J. Hardy has 38 homers in 709 plate appearances. During that same time the Twins' entire infield has combined for 52 homers in 3,828 plate appearances. This season Hardy is out-homering the Twins' infield 8-to-3. • In starting the season with an MLB-worst 8-23 record the Twins have been outscored by 67 runs in 31 games while no other team has been outscored by more than 32 runs. • How did Dan Haren lose to the Twins? He was hurt. At this point I'll assume that every Twins victory will be followed by the opposing pitcher revealing an injury within 48 hours. • Jim Callis of Baseball America published his first mock draft and it has the Twins selecting Georgia high school outfielder Byron Buxton with the No. 2 pick. • Last and least, I guess now we know that Robby Incmikoski checks Twitter while he's working the game for FSN. 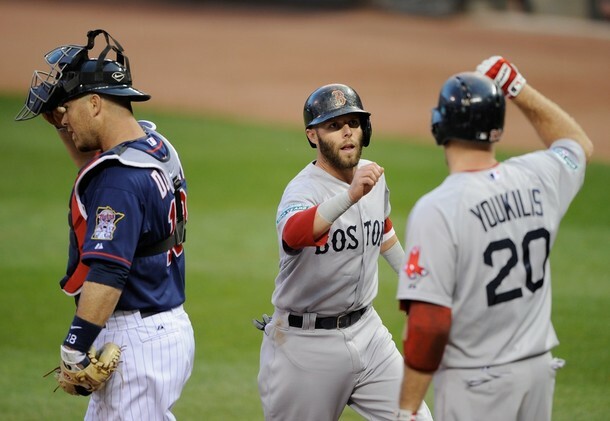 • Last year after 18 games the Twins were 6-12 and had been outscored 88-54. This year they're 5-13 and have been outscored 102-65 for MLB's worst run differential. And dating back to the final 10 games of the 2010 regular season the Twins are now 70-123 (.363). • Designated for assignment by the Twins last week, Luke Hughes was claimed off waivers by the A's and is getting an opportunity for regular playing time at third base. Hughes manned third base in just 14 of his 74 total starts for the Twins, but actually played there more than any other position in the minors. That didn't stop him from committing three errors in his first 10 innings at third base for the A's and his bat remains iffy for the position. 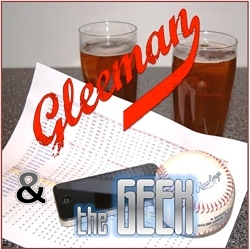 • On this week's Gleeman and The Geek episode we wondered what the Twins would do with Francisco Liriano following his latest ugly outing and their answer, for now at least, is to use an off day on the schedule to skip his turn in the rotation. Liriano will basically take a week off from game action, with bullpen sessions scheduled for Thursday and Saturday, and then will start May 1 versus the Angels. And if that goes poorly, things could get interesting in a hurry. • Since the beginning of last year the Twins are 12-16 (.429) when Liriano starts and 56-96 (.368) when anyone else starts. He's clearly a problem, but he's not exactly the problem. In fact, Twins starters not named Liriano have a 5.83 ERA and just 4.9 strikeouts per nine innings while allowing 17 homers and a .307 opponents' batting average in 78.2 innings. Is it against the rules for a team to skip every member of the rotation for the entire season? • Josh Willingham is taking a paternity leave for a few days and to fill his roster spot the Twins have recalled Ben Revere from Triple-A, where he went 6-for-27 (.222) with zero extra-base hits and zero walks in six games. His initial replacement, Clete Thomas, is 4-for-21 (.182) with 13 strikeouts while oddly seeing far more playing time than Revere was getting before the demotion. David Ortiz has his own theories about the Twins' struggle for home run power. Mostly, he blames Tom Kelly. And when Ortiz speaks, he packs the punch of a one-time Twins discard who blossomed into a home run-hitting star with the Boston Red Sox. So, why haven't the Twins had a player hit 30 home runs since 1987? "Because they're stupid," Ortiz said. "You take a hard swing, and the manager [Kelly] was screaming at you from the dugout, 'Hey! Hey!' Then you finish the season with 10 homers. They ask you what happened, why you don't hit for power?" There's a lot more to it than that, of course, but six years later Ortiz is hitting .444/.486/.714 and "the Twins' struggle for home run power" is still a thing. • Friend of AG.com and former Gleeman and The Geek guest Lindsay Guentzel won a spot in the MLB Fan Cave and recently wrote an MLB.com article about her experience there, including a visit from Joe Mauer, Matt Capps, Brian Duensing, and Liam Hendriks when the Twins were in New York last week. • Ben Goessling of the St. Paul Pioneer Press used to cover the Nationals when Capps was their closer and wrote a good article about how things have changed for the worse. Capps has now served up 12 homers in his last 66 innings dating back to last season. • Liriano, Hughes, Nick Blackburn, Matt Maloney, Chris Parmelee, and Danny Valencia had the Twins' most impressive spring training performances. Something to remember next March. • Justin Morneau is 0-for-16 against lefties and 13-for-42 (.310) with four homers and a 1.100 OPS against righties. • Mauer started the season 1-for-10. Since then he's hitting .351 with a .440 on-base percentage and has yet to sit out a game. • Jared Burton has been one of the few bright spots for the Twins' pitching staff and Mike Axisa of Fan Graphs took an interesting look at his changeup-splitter hybrid pitch. • No. 9 prospect Alex Wimmers battled back from extreme control problems to finish last season on a high note, but now he's on the disabled list at Double-A with a strained elbow. • No. 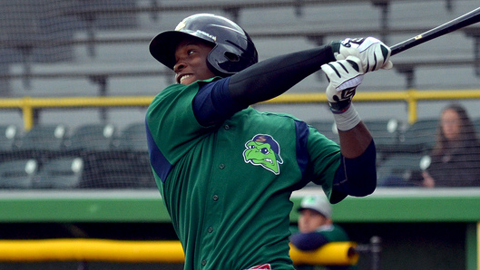 1 prospect Miguel Sano, two weeks shy of his 19th birthday, has hit .292/.432/.662 with six homers, four doubles, and 15 walks through 19 games at low Single-A, where he's the sixth-youngest player in the entire Midwest League. This week's blog content is sponsored by Snap Fitness in Uptown, which offers convenient and affordable workouts with industry best equipment. Please support them for supporting AG.com.